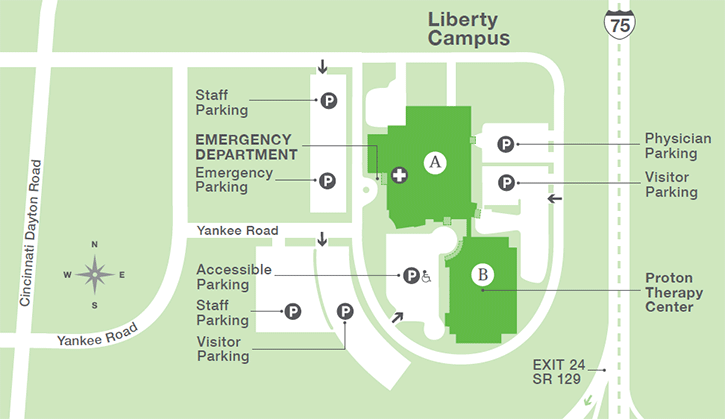 The current wait time for the Liberty Campus urgent care center is posted below and the “Save My Spot” feature can help you plan your arrival. Where should I go? Urgent Care or Emergency Care? 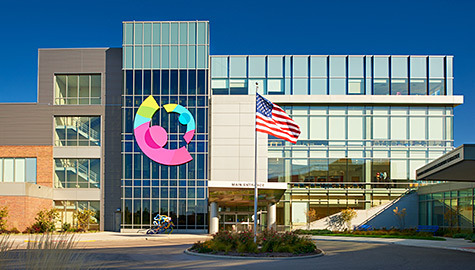 Cincinnati Children's Liberty Campus offers a 24/7 pediatric emergency department fully equipped and staffed to treat most pediatric emergencies and supported by laboratory testing, X-ray and an inpatient unit with 40 beds. Cincinnati Children's Liberty Campus offers laboratory testing and routine X-rays without an appointment. Ultrasound, fluoroscopy, computed tomography (CT), magnetic resonance imaging (MRI) (available with general anesthesia, sedation and non-sedation), radiography and nuclear medicine (no PET) are also available. Cincinnati Children's Liberty Campus offers a 40-bed inpatient unit for those children whose illness requires a hospital stay. This unit is designed for patients whose conditions meet admission guidelines. Your doctor will consult with the appropriate Liberty Campus physician to determine whether your child's condition warrants admission here. The pediatric nursing team at our Liberty Campus is of the same high caliber as nursing teams at our Burnet Campus. The inpatient rooms are large, light-filled and close to the nursing station. Each room has its own bathroom and provides room for you to stay overnight with your child.